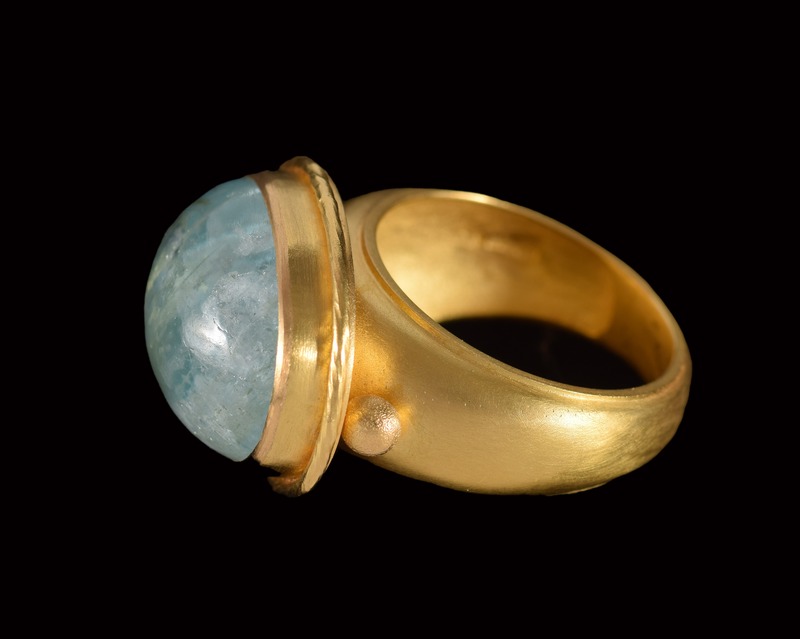 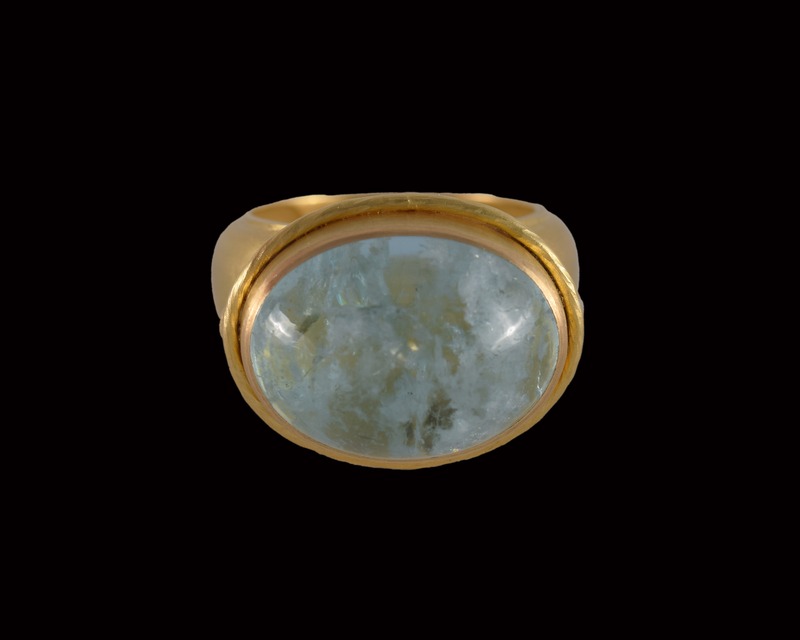 This large, oval, cabochon aquamarine is a fascinating stone; it is full of natural inclusions which gives it a life and character all of its own. 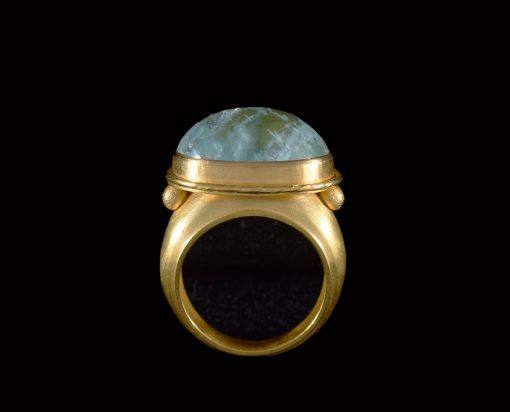 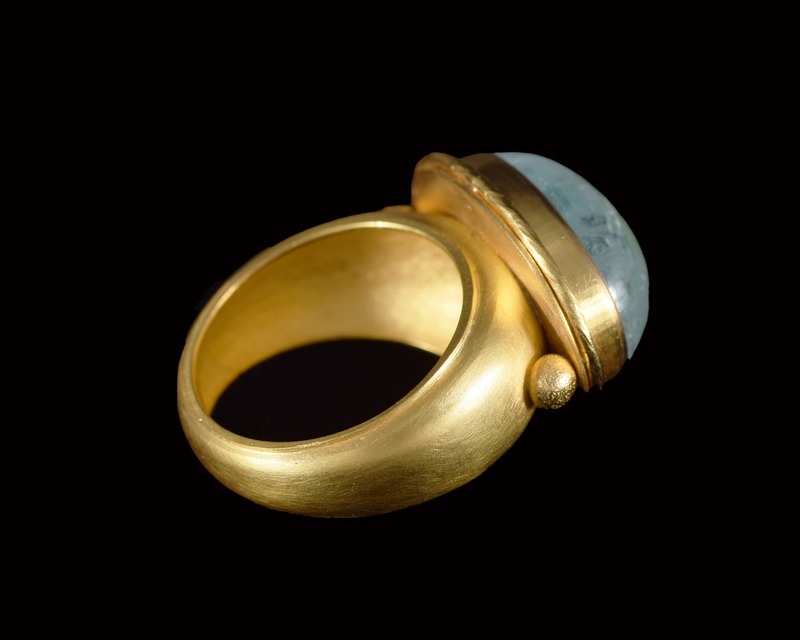 Set on top of a 22ct gold domed ring, the details and intricacies of the stone are perfectly complemented by the simplicity and plain finish of the ring on which is sits. The ring is size Q.